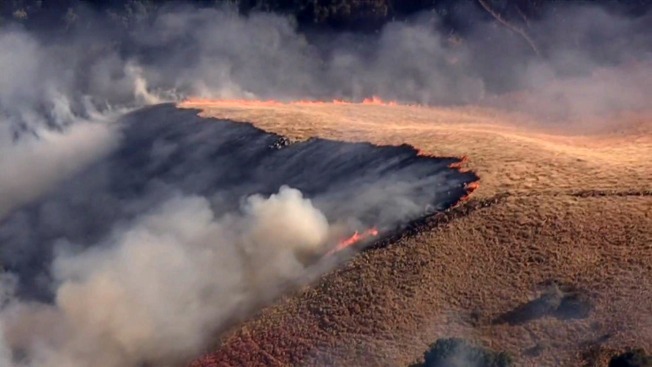 A fast-moving brush blaze that torched 125 acres south of Gilroy Sunday is 100 percent contained, Cal Fire announced Monday. 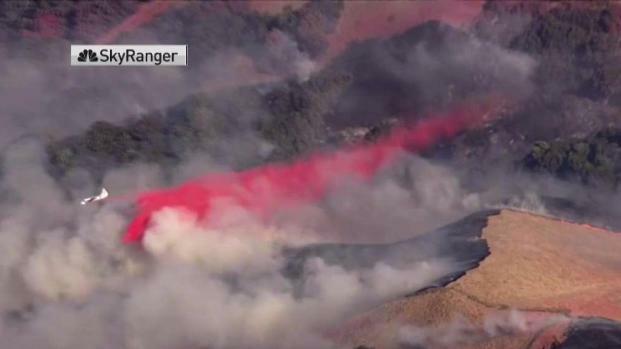 The so-called Castro Fire, which started about 4 p.m. Sunday, was burning off Castro Valley Road, west of Highway 101 in south Santa Clara County, near Gavilan College, and air support and other resources were helping with the firefight, fire officials said. A fast-moving brush fire south of Gilroy quickly spread to 150 acres Sunday afternoon before fire crews stopped its forward progress about five hours later, according to Cal Fire. Marianne Favro reports. The blaze spread to 50 acres within an hour, with no containment. Later Sunday, before the blaze was three hours old, it had spread to over 100 acres and was 20 percent contained, fire officials said.